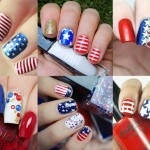 Oh boy, Fashion Week has been incredible nailspiration wise! In total we’ve attended 14 shows and went backstage for the most. I hope you could keep up with our live coverage via Instagram and Snapchat. If not, don’t be sad, I’ll show you the best of the Fashion Week here, on SoNailicious. Starting this week, in collaboration with OPI Australia I’ll be creating Fashion Week inspired nail designs and tutorials. So you’ll be able easily to re-create them. 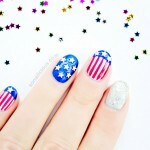 Plus, of course, I’ll show you the most beautiful (read: the most nailspirational) fashion designs and beauty trends. 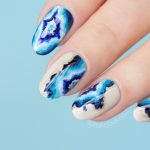 Now, let’s get back to our Abstract nail design… As you may have already guessed, this nail design is completely freehand painted. 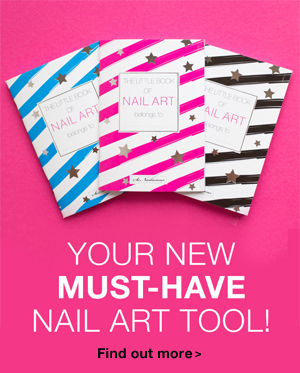 So if you’d like to try it, first paint all nails with red and then add the bright blue details using a liner nail art brush. 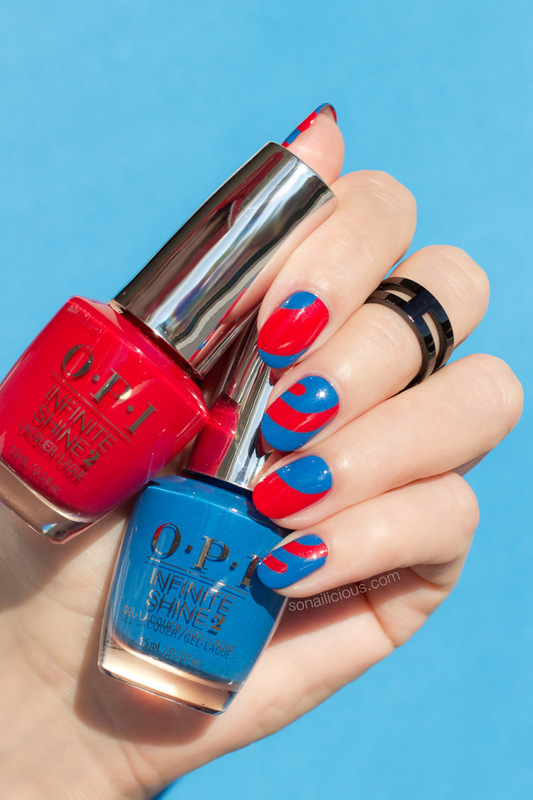 Make sure you’re using very pigmented creme polishes, like OPI Infinite Shine, that way the blue details will come out true blue in just one coat, even when painted over red. 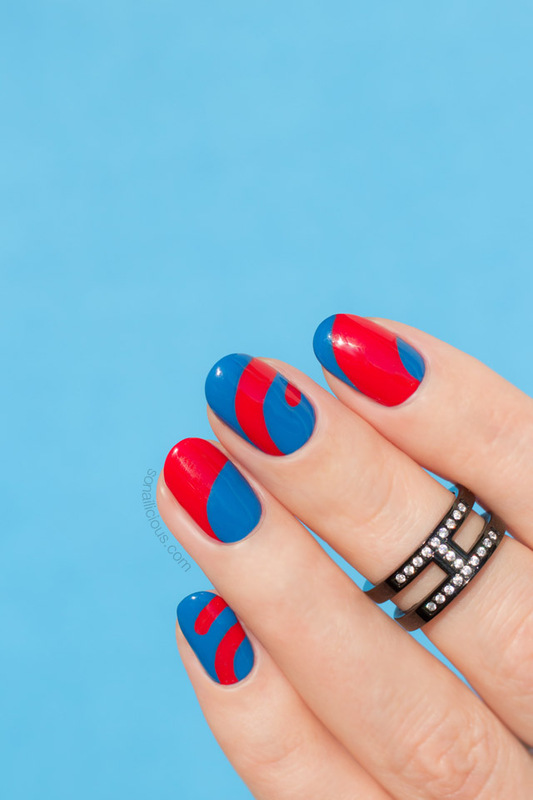 So, what do you think about this Blue and Red nail design? Something new to try? P.S. 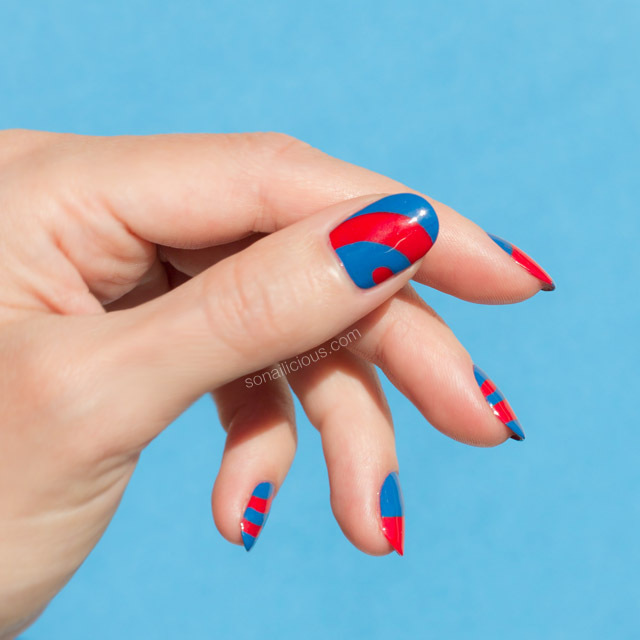 If you try this nail design, I’d love to see your version – Tweet or Instagram me a photo with the tag #sonailicious or #opiausxsonailicious, if you’d like to join the Fashion nail art fun. 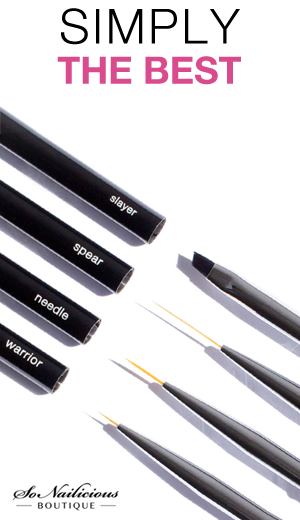 The Return of The Geode… 1 DAY UNTIL THE LAUNCH!